Palm Beach Dyno Custom NA Tunes are created by our team of tuners, specifically for your car, based on the modifications and fuel you are using. Palm Beach Dyno is not only known for our remote tuning, but we also operate a full-time Dyno Tuning facility that allows us to not only develop these tunes but to continually refine them over time with each car we touch. It's a recipe that cannot be matched by anyone else. Our tuning is offered in different levels based on your vehicle modifications. For more information on which level you fall into, click HERE. All tuning comes with free datalogging reviews and updates for 6 months by submitting your logs to our support system at http://support.pbdyno.com Free datalogging reviews and updates will only apply to minor car updates over that time. If any modifications are added that push you to the next level of tuning support, that can be purchased separately. The HP Tuners nGauge device will be shipped to you blank with instructions. You will need to pull the stock tune off your Mustang and email it to us at [email protected] Once we receive your stock file, you will receive your modified Palm Beach Dyno custom tune file back via email. Simply load it onto your nGauge and flash your vehicle with the tune. It's as easy as that to add huge power! 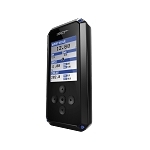 The HP Tuners nGauge is a digital gauge that connects to the vehicle's OBD2 port, allowing the user to view live data and reprogram the ECU. JLT's 2015-2017 Cold Air Intake is better than ever. Fully computer designed to optimize space and for best fit and finish. Large 5" filter inlet with radiused end for smooth air flow across the MAF. MAF size is 110mm. We use only the best air filters made by S&B to our specifications. We love S&B's tapered flange design and Powerstack filtered ends. With a huge 5” opening on the tube, we needed a huge filter. The result is a monster 5"x7" filter with built-in bellmouth for more airflow.